Our range of chocolates are called Bombons for a reason. Little chocolate bombs full of flavor! Because of the unique fillings and artisinal produdcts, each chocolate bonbon is an absolute taste sensation. The chocolates are made by our designers with chocolate artisan skill. This way, each bonbon received personal attention ... and you can taste it. These really make you happy. In boxes covered with funny quotes, these little chocolates make a great gift. There is plenty of choice of different types of chocolate. For example, choose our Chocolate Origin series, with dark chocolate from Tanzania, Venezuela and Ecuador, milk chocolate from Madagascar and a delicious white chocolate from Peru. 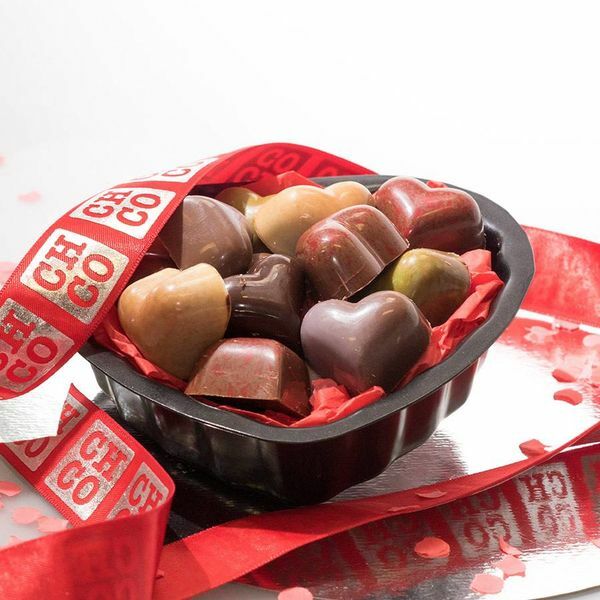 Or our series Nuts About You Chocolates, cheerful handmade hearts with praline filling of various types of nuts. The most delicious handmade chocolate gifts! Buy your Bombons - bonbon flavor packed with unique fillings and top chocolate. An original chocolate gift handmade chocolate by our designers!